MHA Summer Institute is an opportunity for teachers and learners of Mandan, Hidatsa and Arikara languages to get together and share strategies for second language learning and teaching. 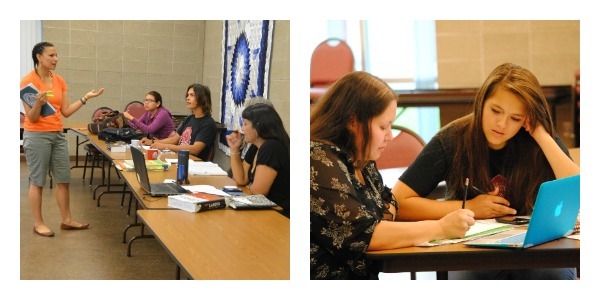 For the first time this year, the MHA Summer Institute will offer an intensive track for Hidatsa learners! If you’ve ever wanted to learn Hidatsa, now is your chance! MHASI courses empower teachers and provide them with best-practice tools and methods that can be used with new MHA classroom materials. All materials are free and can be picked up at the MHA Education Department (Northern Lights Building). If you need to mail in your registration, you can print the MHASI 2016 paper registration form here.